Is it safe to engage in complementary therapies while you’re pregnant? Or should you avoid them altogether? This is a question that plagues many pregnant women who are engaged in the alternative medicine therapy scene. What seems safe for non-pregnant women may not be as safe for pregnant women. Complementary and alternative therapies can include a whole range of possibilities. The National Institutes of Health (NIH) has created this list of complementary and alternative medicine therapies. The NIH have concluded that there have not yet been enough studies to determine the efficacy and safety of complementary and alternative therapies during pregnancy. Nevertheless, one study found that many women do engage in these types of treatments while with child. There have been some studies, however, that suggest these types of therapy can be hazardous to pregnant women or those trying to get pregnant. For instance, reflexology, herbal supplements, homeopathy, kinesiology, and acupuncture were studied in use by 800 Danish women trying to get pregnant. The study found that those who engaged in these therapies were 20% less likely to conceive. 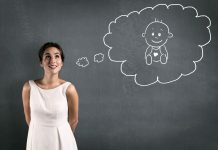 While this does not by any means present definitive answers about which therapies are a potential problem before or during pregnancy, it is perhaps a reason for caution for pregnant women. If you’re like many millions of women struggling to get pregnancy, acupuncture may help you overcome infertility more quickly than other treatments, and with fewer side effects. When combined with herbal medicines, acupuncture can often help with certain types of infertility, such as decreased blood flow due to endometriosis. In general, this treatment is recommended to take place at least three to four months before an insemination is attempted for best results. Acupuncture may be continued into week twelve to help prevent miscarriage, provided the needs are not used in the abdomino-pelvic area after insemination or transfer. Though these cautions are good, there have been some studies that have suggested that complementary and alternative therapies can benefit pregnancy women by helping them with nausea and vomiting. A study by Donna I Meltzer titled Complementary therapies for nausea and vomiting in early pregnancy published in the Oxford Journal for Family Medicine, concluded that there are some highly effective alternative therapies for nausea and vomiting during pregnancy. Some natural health practitioners will recommend that you use aromatherapy to help alleviate nausea and morning sickness. However, this should be done with caution. Some essential oils like juniper, sage, and rosemary have been shown to cause uterine contractions and should therefore be avoided. Acupuncture is one of the most popular alternative therapies for use with low-back pain, especially during pregnancy. A Swedish report published several years ago showed that low back pain, which affects up to three-quarters of all women during pregnancy, can be greatly relieved by acupuncture. Compared to physical therapy for the same problem, the 60 pregnant women tested reported having a significantly lower pain experience after acupuncture treatments. Not only that, but the acupuncture treatments were less invasive. The acupuncture group could perform 11 out of 12 daily activities without trouble following an acupuncture treatment, but no such improvements were reported by the physical therapy patients. Massage can help ease the aches and pains of being pregnant, but be sure to use a licensed professional who is skilled at working with pregnant women. People specializing in pregnancy massage may have a special pregnancy massage table designed to accommodate a pregnant belly. Alternatively, bolsters may help to position a woman on her side during the treatment. Massage can provide more than just relief of back pain. It may help to reduce anxiety and decrease stress hormone levels, improve sleep, increase feel-good hormones (serotonin and dopamine), and overall improve your mood. A specially-trained pregnancy masseuse will also know how to adapt techniques for the pregnant body. The practitioner can accommodate increased blood flow by helping the blood to move from sluggish leg regions, which can help to prevent blood clots. That said, you may wish to avoid massage when you’re pregnant during period of morning sickness and nausea, if you have a high risk of miscarriage, or if you are at risk of experiencing a placental abruption. For those inevitable backaches during pregnancy, you should be able to safely visit a chiropractor. 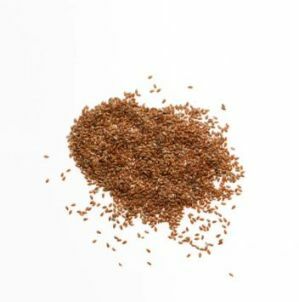 Consuming flaxseeds and flaxseed oil can help with constipation and prevent hemorrhoids. A natural gel called arnica has been used by many women to help ease hemorrhoids naturally. Several natural supplements, including evening primrose oil, red raspberry leaves, and black haw have been shown to work to help speed along the induction of labor, though they are still being investigated. Relaxation techniques, breathing exercises, and self-hypnosis have all been shown to help with labor pains. Additional alternative methods for reducing the aches of giving birth include immersion in a warm bath, acupuncture, and stimulation by a TENS machine. Regardless of your health challenge during pregnancy, your safest bet is to consult with your doctor to determine which complementary or alternative therapies are appropriate for you during your pregnancy. Previous articleBlood in Urine During Pregnancy – What Could It Mean?